I’m torn about how to rate this book. There were parts I really liked and there were parts I didn’t like. I guess overall I will have to rate this as a 3 star. I thought the story was creative and original. 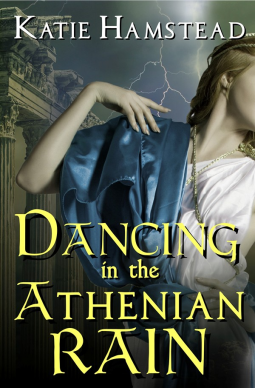 I liked Donna and Peleus and most of the other Athenian characters. I didn’t like the parents and Dr. Stephens. I just couldn’t figure him out. On the one hand, he treats Donna like a daughter, like he really cares for her well-being, and then he turns around and exploits her. I liked the parts in Athens much more than the parts set in the current time. Esp the end I found to be too hurried and forced. But the parts set in Athens were great.